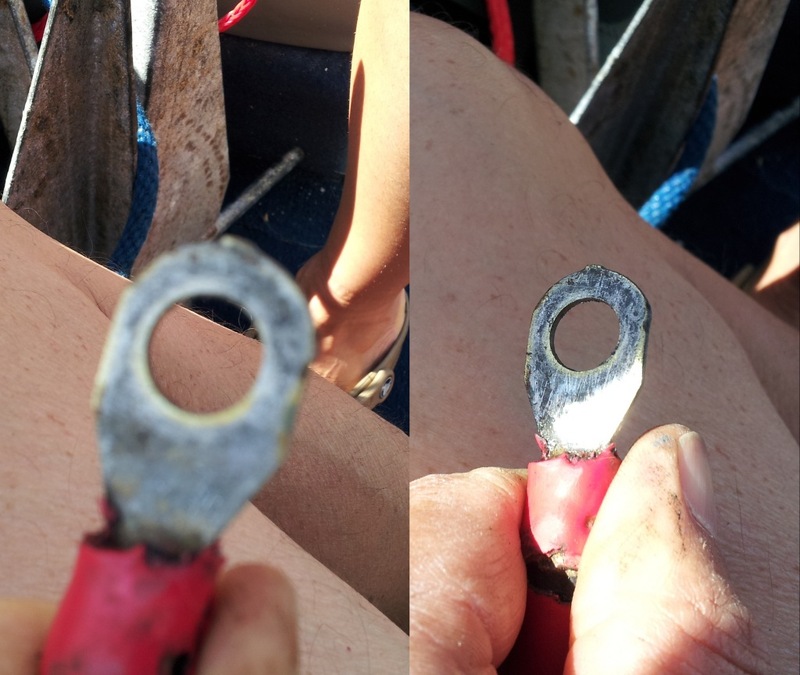 We discuss the Automotive, Marine, RV Cranking and Deep Cycle Battery life and failure. Cranking (rated in CCA) is more for cars needing a 30 second massive discharge to turn the starter motor long enough to start the engine. Deep Cycle or Deep discharge, is constructed with thicker material designed to provide a long supply of current for RV or marine application. Both technologies are basically the same. Battery Failure is attributed to one of the following causes. 1. Column Failure - The battery consisting of 6 cells, one dies catastrophically then the rest, although OK produce about 10.8 volts insufficient to start an otherwise already warmed car. 3. Internal Discharge - An otherwise OK battery discharges in days as opposed to months. It can right away after being charged hold the stress test but over time discharges more quickly than it should. 4. External Discharge - A dirty battery discharges through conductive build-up on it's case. Cleaning the case with detergent and water removes the conductive build up and restores the battery's capacity. 5. Terminal Crud. Batteries live in a "dirty" environment. Oil and chemicals off the road combine with sand and dust to create semi-conductive "grime" that gets on battery studs and connected terminals. Crud prevents good contact to your electrical system. A pocket knife cleans off the post and terminal crud. 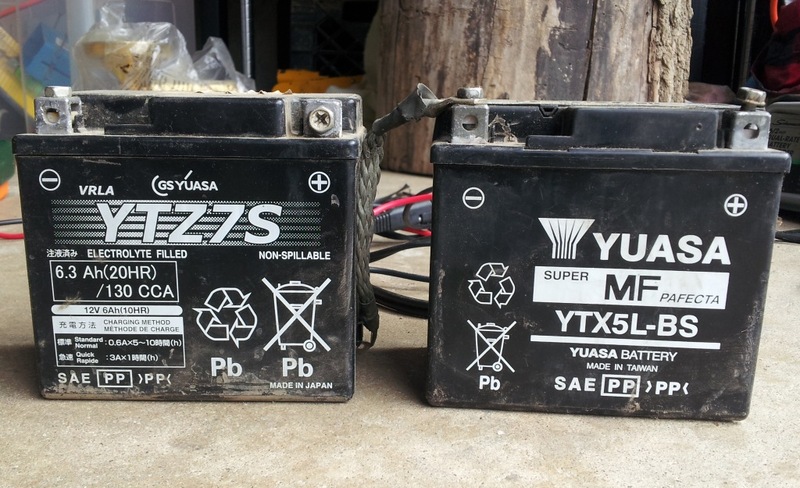 Not usually seen in sub-automotive style cases, here we have a pair of Yuasa batteries, one rated in CCA (cold cranking amps) and the other without. Typically what happens is a company builds and moves into a new better facility and another company takes over at the old facility continuing to turn out product. In this case it looks like Yuasa is either operating both plants or the unmarked battery is older.